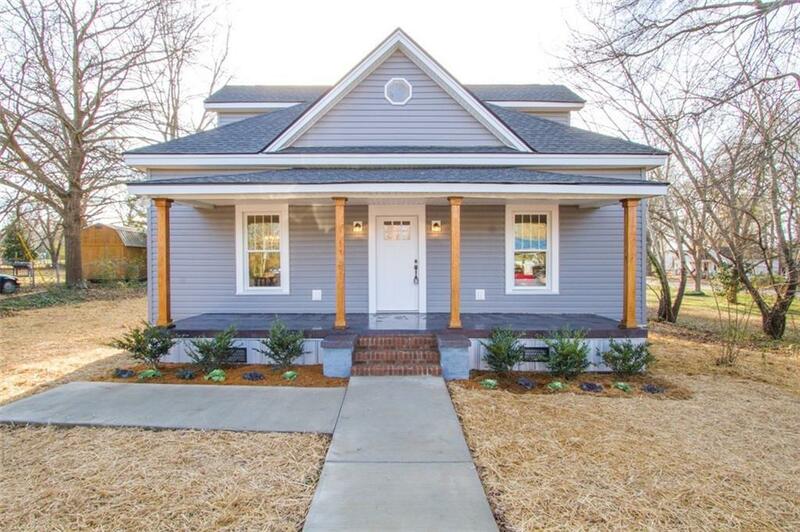 This beautifully renovated 3 bedroom 2.5 bath home is simply stunning. A lot of thought and care went into this remodel from salvaged stair treads from the Apalache Mill in Greer to salvaged hand rails. Newel posts and shelves in the kitchen came from the homes demo. Home also features gorgeous lighting and hardwood floors throughout. Master is located on the main level with 2 additional bedrooms and a jack and Jill bathroom upstairs along with a cute little nook. The kitchen boasts granite countertops, a spacious island and brand new stainless steel appliances. Large laundry room. This is a must see home! Home has been completely redone with new electrical, plumbing, duct work, roof, siding, hot water heater... the list goes on!! This home comes with lot 11 only. Survey was completed and stakes are on property.